The Magick of the Seven Heavens. Seven Heavens is a part of religious cosmology found in many major religions such as Judaism, Hinduism and Islam and in some mystical religions such as Hermeticism and Gnosticism. Each heaven has two forms of power. The power of the Archangel who has rulership over that particular Heaven, and the inherent power which is natural to the Heaven itself. Both these powers combine to enable you to invoke the heavens power for you spiritual advancement. The Heavens, mysterious as they are, do affect us in many aspects of our daily life, as well as having important religious associations. Practitioners of the Angelic Art believed that human beings can strive to experience the higher spiritual levels of the various Heavens. To the extent that an individual is capable of contemplating pure, eternal, abstract truth, he can "plug in" to the highest down to the lowest of the celestial intelligences. For the magician, such knowledge becomes the ultimate purpose of religious life. The ancients believed that there were Seven Heavens which related to the seven observable planets in our solar system. The Sun and Moon, where referred to as planets by the ancients due to lack astronomical understanding and with these they also included the five planets which were visible by the naked eye, Mercury, Venus, Mars, Saturn and Jupiter. According to this belief each planet occupied its own layer of Heaven or potion of the sky/space, each occupying an orbit further and further away from Earth, as Earth was the considered centre of the Universe. Today we realise that this apparent distance is in fact the planets orbit around the Sun, not distance from the Earth. Practitioners of the Pauline Art acknowledge this concept of seven heavens and assigned Archangels to each Heaven (or planet). As do the beliefs of Jewish mysticism. Again these Heavens are is divided into seven realms. In order from lowest to highest, the seven Heavens, as with the Pauline Art, are listed alongside the Archangels who govern them (these are listed below. Islam also recognises these Heaven’s as holy places. Each Heaven or “ss-samawat” consisting of seven levels, the first and lowest level of as Dunyah, which covers the known universe and all within it. The composition of the universe is revealed in the a number of verses in the Qur'an which state that the sky (planets) is made up of seven layers. However, it is difficult to explain precisely what is meant by these seven Heavens are as the description does not correspond with the Christian or Jewish concept of planets. However, might be broadly inferred that Allah divided the universe beyond earth into seven distinct spheres, or that this earth is located in that part of the universe which consists of seven different spheres ( could it be planets?)." It was not only Heaven that had seven layers, some also believe that the Earth also has seven layers which represent the underworld or possibly Hell. From an Islamic perspective the Quran states “Allah is He Who created seven Firmaments and of the earth a similar number…” [Quran 65.12]. This is not a concept adopted by the Pauline Art and therefore is not explored further. Many traditions believe that when a person dies, their soul or life essence ascends up through the Heavens to the final heaven when they are united with God. This belief is one a foundations that the Pauline Art is based upon. The fact that your soul reincarnates, or passes under the influence of each of the planets, so the Archangel of the planet may teach you his own unique Angelic knowledge. A slight variations from some traditions but it does indicated that the soul will be influenced by each Heaven, and the powers that that Heaven rules. As Uranus, Neptune and Pluto where not discovered at the time, the ancients believed that Saturn was the last Heaven and therefore once the soul had passed this heaven he/she would meet God (paradise?). In the Islamic tradition the Heavens and Paradise are not the same, but Paradise being the final resting place for all souls. In the same vein as the Christian teachings only those souls who have lead a good life, or in the perspective of the Pauline Art, received the Angelic Teaching at each reincarnation, would enter the kingdom of Paradise. It is interesting to note that on Muhammad's journey to the Heavens, known as Isra and Mi'raj, he saw the seven Heavens and met different prophets (Archangels?) at the different levels. * Some manuscripts allocate the angels as indicated in the Alternative column. From a Pauline Art perspective the original allocation is accepted. The First Heaven was also considered to be the place where Adam and Eve lived and here you would experience winds and the landscape contains water and clouds. The Second Heaven was the place that Moses visited and is considered to be the place where the Fallen Angels are imprisoned. Moses visted Raquia and met the angel Nuriel who hade governorship over 50 myriads of angels, who are composed water and fire. The Third Heaven has a small contradiction, Firstly it is considered the place of the Garden of Eden, juxtaposed to this, it is also thought to be the location of Hell to the North .It is also reputed to be the home of the Tree of Life. The Fifth Heaven, Samael the Ruling Archangel is served by two millions of angels. These are divided among the four quarters of the world, in each quarter three, who control the twelve months, and over these are twelve chief angels. The northern regions of this Heaven is the area where the Watchers, (Grigori) reside. To the South reside the angels (ministering) who endlessly chant the praises of God. The Sixth Heaven, Archangel Sachiel, with two millions of angels. The angel Zebul is placed over these during the day, and another angel, Sabath, during the night. They rule over kings, create fear, and give protection from enemies. This Heaven is covered in snow and frequently experiences many storms. 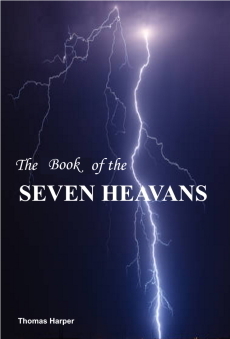 In summary each of the Heavens, from the Pauline Arts perspective, is regarded as a spiritual development milestone which assists the soul to develop through many reincarnations, learning from each of the Archangels as it transits the Heaven, until spiritually mature where it is finally absorbed into back into God. Would you like to know more about Angels? Then go to our Parent Website - Archan Publishing, Publishers of eBook on Archangels, Angels, Angelic Magic, Classical Grimoires, and much more.